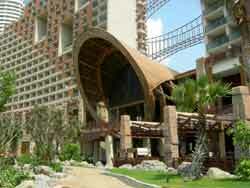 Wonder why we think you'll love the Centara Grand Mirage Beach Resort Pattaya? Personally I enjoy the different themes that it has. 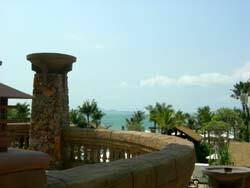 You really feel like you're in a new place...even in Pattaya? 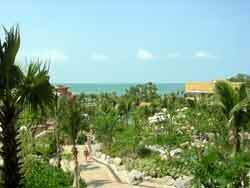 Immerse yourself in the tropical gardens on your way to your room. 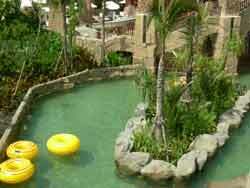 Swim around in their pool that looks like a lagoon from some adventure movie. Why else would you enjoy your stay at that 5-star Pattaya hotel? In my opinion this hotel and the theme park is a piece of art. If you can afford to stay here you will have a lot of fun. An absolutely must do for families. 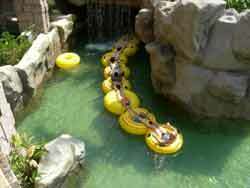 The pools, slides, waterfalls, the layout and the great location at the beach make this a real pleasure. You got to see it to appreciate it. 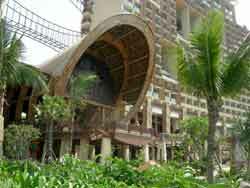 Hopefully one of the 555 rooms and suites in this 5-star beach front resort will be occupied by you this year. Choose from 18 stories in this stunning theme paradise with breath taking ocean views and its own beach access. 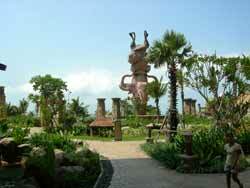 This resort was built on the beach front land were Central Wong Amat Beach Resort used to be. The question is not what this hotel can offer but what doesn't it offer. The list of what this place offers is endless. Direct access to the white sandy beach at the Wongamat Beach, which is one of the best beaches that Pattaya has to offer. To find out about amenities, details, Google maps, images, reviews, rates and availability check the little search box. 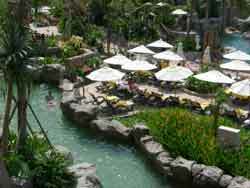 Enter your dates and find everything about Centara Grand Mirage Beach Resort. 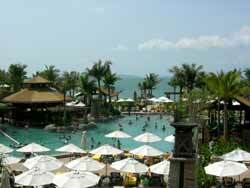 This is a great hotel for families visiting Pattaya. Parents with kids / children will have their peace of mind here. You will have a hard time to get your child out of one of the pools.